What I am about to offer you falls into my favorite category of cake, perhaps even my favorite category of baked good. Some have called it everyday cake, and let me tell you, I love the sound of THAT. To attain the coveted status of everyday cake, as utilized in my vocabulary, a cake must be simple, relatively healthful and just as good after dinner with a dollop of whipped cream as it is with coffee at midmorning the next day, at that moment when a bit of brightness is in order. 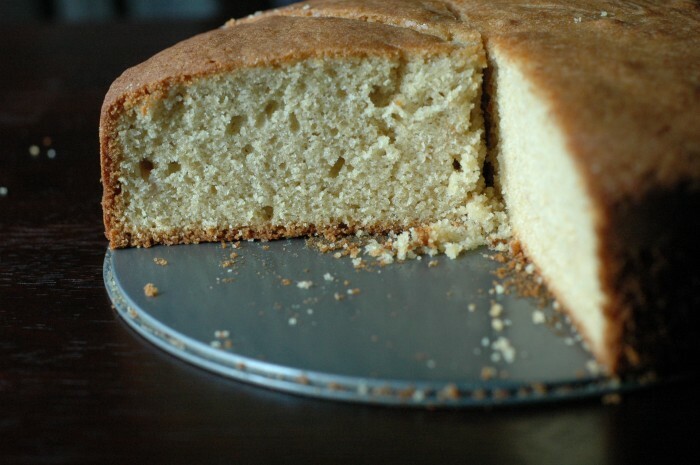 A really exemplary everyday cake will have a perfect crumb: tight and dense, properly poised between moist and dry, rustic and somewhat coarse, conducive to soaking up a spot of tea, loose enough that it breaks into bits that leave a trail on the kitchen counter…in a word, delightful. On top of being enchanting and delicious and all of that, an everyday cake is the kind of cake to have around if you happen to be, as I am, a lady who lives alone. It’s rather dangerous to have one of those frosted, two-layer concoctions on a cake stand when you’re by your lonesome in the kitchen late at night, and also harder to justify eating a piece of that for breakfast. But an everyday cake can be eaten all the day long and, as it happens, frozen with great success for other occasions that call for cake. Which brings me to my next point, which has to do with what sorts of occasions those might be. Cake, as you may have noticed, is far too often relegated to birthdays and holidays and weddings and dinner parties, and though it serves us well for such affairs, it seems rather tragic to limit our consumption of cake–not to mention our giving of presents, throwing of streamers and breaking out of good wine–to a few isolated days each year. Celebration should happen more often. Accompanied by cake. Those who know me are well aware of my philosophy regarding celebration, which is as follows: life is hard. It is monotonous. It can also be extremely, persistently cold, particularly if you live somewhere like Michigan, or, I would imagine, Antarctica. Sometimes the sun hides for days, and more often than not, things do not go entirely as we wish. Sadness and tragedy come no matter how hard we try to wish them away. Thus, we must celebrate at every opportunity. Because between the difficult moments are beauty and mystery and adventure and hope. And that? That I will celebrate. With cake. I first made this cake in the fall, after pressing cider at a friend’s parents’ home, way out in the country, on a cider press my friend’s father built with his own hands. It was my third time at this annual event, and it was glorious. Searching for things to bake with the generous amount of cider that accompanied me home, I found this in Amanda Hesser’s brilliant tome, The Essential New York Times Cookbook. And it is delicious. Rich and nutty from the olive oil, not too sweet and with a delightful crumb. I still had a significant amount of cider, but I tucked it into my freezer, which happily resulted in another go at the cake this week. Now, I recognize that you likely don’t have a stash of cider in your freezer, so buy a small carton the next time you’re out. 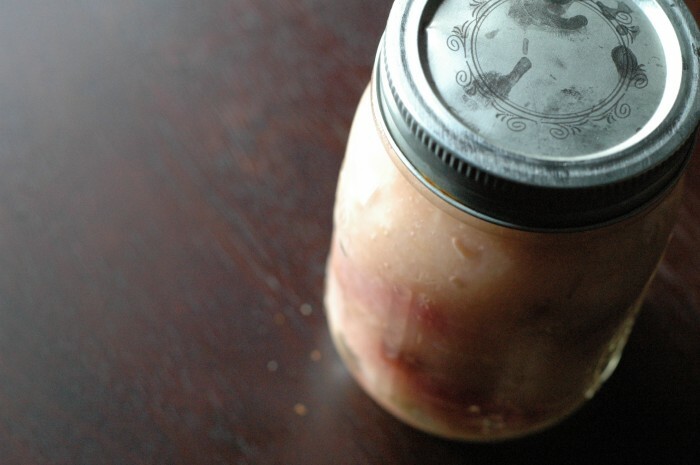 And if you’d like to skip over making the applesauce, you certainly may purchase that as well, but it’s so easy that I really do encourage you to make it. 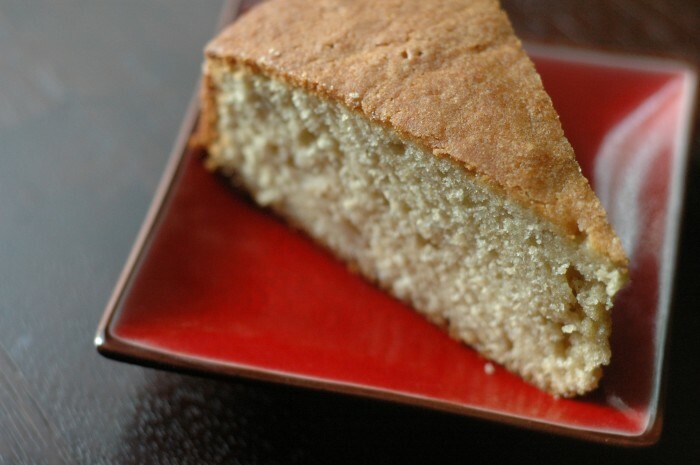 The recipe has you prepare quite a bit more than you need for the cake, but warmed slightly, those leftovers are the perfect anecdote to a frigid morning or a wonderful accompaniment to the cake. I’ve baked this in both in a springform and a bundt pan, and both are lovely, but I am particularly fond of the lightly browned, gently sloped dome that results when you bake it in a springform pan. I used a mixture of white whole wheat and all-purpose flours, but you could make this entirely with all-purpose (as the original recipe dictates) or a different ratio than what I’ve given. And regarding the sugar, I’ve reduced it to the smaller amount for a less sweet cake that is still very delicious. Now go on. Make this cake. And eat it with fanfare and celebration. Peel, quarter and core the apples, or leave them unpeeled and chop them into slightly smaller pieces. Place the apples and 1/2 cup of the apple cider in a saucepan. Cover and bring to a boil, and then lower the heat and simmer the mixture for 10-20 minutes. As it cooks, add another splash of cider if you think more moisture is needed. When the apples begin falling apart, remove the pan from the heat and, with a fork, mash the apples to make a coarse applesauce. Let cool. Preheat the oven to 325 degrees. Lightly grease a bundt pan or a 10-inch springform pan with olive oil and dust with flour, tapping out the excess. In a medium bowl, combine the flours, baking powder and salt. In a small bowl, combine the remaining 1/2 cup cider and 1/2 cup of the applesauce. In a large bowl with a hand mixer, or in a stand mixer, whip the eggs and sugar until they triple in volume, about 8 minutes. Gently fold in one-third of the dry mixture. Fold in half of the applesauce. Add the olive oil, stirring carefully so that the batter deflates as little as possible. Add half of the remaining dry ingredients, then the rest of the applesauce and then the last of the dry ingredients, mixing gently between each addition. Pour the batter into the prepared pan. 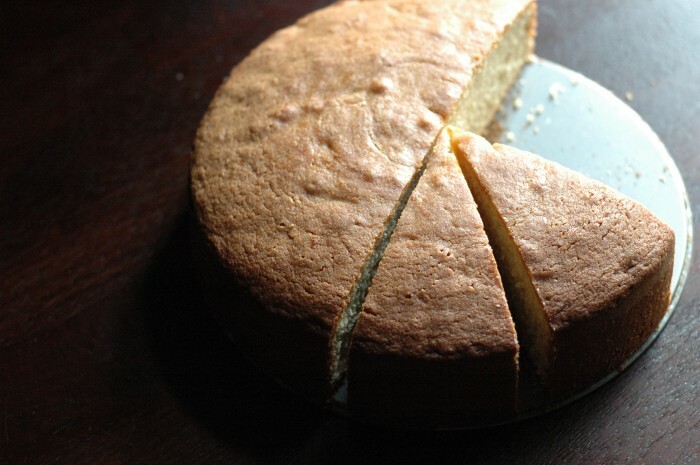 Bake for 1 hour and 10 minutes, or until a knife inserted in the cake’s center emerges clean. 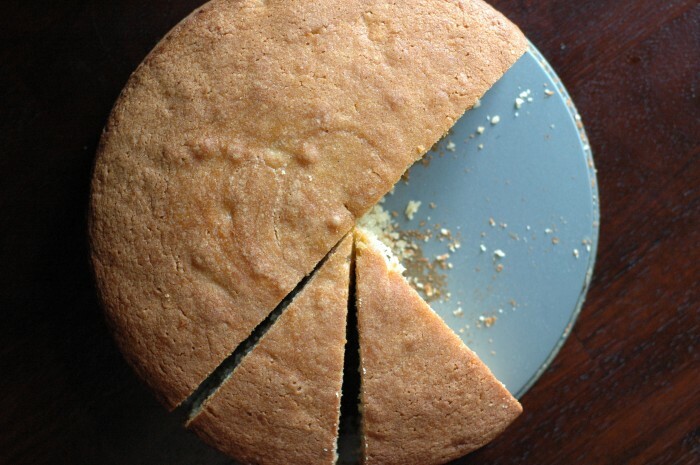 Let the cake cool on a rack for 10 minutes, then remove from the pan (if using a springform pan, remove the sides). Allow the cake to cool a bit longer. Enjoy at midmorning with a cup of coffee, in the afternoon with tea or as dessert with a scoop of the remaining cider applesauce alongside and sweetened whipped cream, or ice cream, atop. Yummy. We have a Bible Study Brunch next week and I think this would be perfect. Thank you so much. I really enjoy your blog. This is such a joy to read. I loved every second of it. Looking forward to more! Fantastic. We’ll have to try to feature something like this in an upcoming issue. Glad we stumbled upon your blog. Keep going! Such beautiful photos and words, Stacy! I want to bake this cake and eat it right this second. The only thing better than this cake might be the pleasant and delightful company of its purveyor. Happy wordsmithing. I love to read anything that you write…which is why I still have all those little scraps of paper with stories and songs you wrote when you were really little. I think I will make this cake for friends next week. Found myself smiling during the entire “read”…thank you! We are more frequently pie and crisp people, but I think I may give this cake a try. :) And I may have to stop by Candy’s brunch too!